Our Premium listing is Free for TWO years and includes your catering name, description, address, and phone number, Photos, Website Link, Map & Visitor Counter. Increase your exposure, inquiries & website traffic. Send us Your Favorite BBQ Event! Let us and other BBQ Lovers know about your Event. Click Add an Event and enter the Free Listing Information to be listed on the BBQHWY! Send us Your Favorite BBQ Restaurants! Let us and other BBQ Lovers know about your favorite BBQ Restaurant. Click Add a Restaurant and enter the Free Listing Information to be listed on the BBQHWY! Send us Your Favorite BBQ Sauces & Spices! 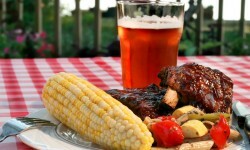 Let us and other BBQ Lovers know about your favorite BBQ Sauces and Spices. Click Add a Sauce and enter the Free Listing Information to be listed on the BBQHWY!